I chatted with Bryan Starbuck and his team about the new mail client that works with Windows Live Mail and all your POP3 and IMAP accounts as well... and RSS... and seems to go way beyond the feature set of Oulook Express. 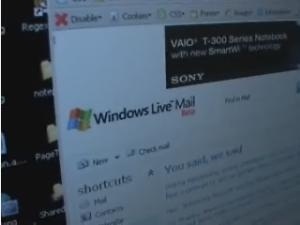 The new Windows Live Mail Desktop beta that is shown in the video will be released in early June. Users can sign-up on https://ideas.live.com/ in order to receive an invite as the beta scales up over the next several months. "Active Search" is a feature that isn't shown in the video, and it allows you to switch away from the graphical ads. The new search looks awesome! I noticed while discussing the backup/protection features you didn't mention the transactional log files. Please tell me you got rid of them!!! Because, that's the one main issue I have with WLMD and WM for that mater. It seems to be apart of the core WM engine? Every time you open WLMD it creates a NEW 16MB transactional log file. These files only go away when you reboot and/or compact the DB. I have an email store with 90 emails in it (no attachments) and it's over 1GB in size because of these bazillion log files. Our users here do not turn off their machines at night and giving the user CHOICE to compact (yes/cancel) is not an option either. So when we start to deploy this app for those that want it it's going to be an issue. Is there a way to turn this log off? Or have it tunicate on exit? On load? Honestly I don't want 3 layers of protection. If the DB can reconstruct itself on the fly I see no need for a backup. If it takes a little while to reconstruct the DB then so be it. How often will it happen anyway? Our mail stores will run over the network and they get backed up to tape. So data loss is not an issue for them. So as long as that DB can reconstruct on the fly I don't need redundant data on the disc. However even with that said I'm perfectly willing to deal with the DB backup especially since this app isn't intended for the way our users will eventually use it (over the network). But please please please either let us turn off the logging or let us tunicate it on exit/load or just plain get rid of it!!! Duncan, you're videos always seem to have mono audio and it makes it really painful to watch otherwise great videos . Any chance you could do something about that? Currently, I'd end up with Windows Mail (on Vista) and Windows Live Mail Desktop. They both are very similar, although the Desktop client offers more features, but essentially comparable. I understand that the Windows Mail won't be shipping for XP, but then why have Windows Mail on Vista? Why not just use the Windows Live Mail Desktop client? They answered it by stating it flat out instead of qualifying the question/answer first. Think of WLMD as Windows Mail except it also has Windows Live integration. 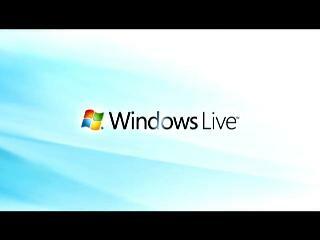 If you forced WLMD on every desktop then you would also have to force the use of Windows Live on everyone as well. 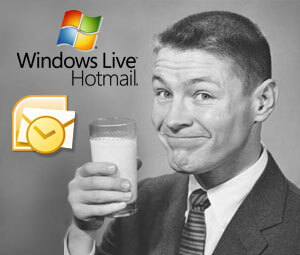 If you do NOT have a Windows Live account then when you buy Vista you'll have a normal mail client called Windows Mail to use if wish to do so. If you want to integrate all your Windows Live Services then you'll use WLMD instead. Its a funny situation for someone who wants the Live service integration, uses Vista and also uses the Office system (say, 2007 Office). Think of WLMD as Windows Mail except it also has Windows Live integration. If you forced WLMD on every desktop then you would also have to force the use of Windows Live on everyone as well. What makes you say that? My take on it is that WLMD is Windows Mail with Hotmail/WLM integration as you said. However, that doesn't mean that a Windows ID is "forced" on everyone, does it? From what I can see it still does POP3, IMAP, NNTP and RSS. Why couldn't you just use it as your POP3 client without a Windows Live ID/Passport? I have exactly the same question as keeron. It seems to me that they are writing two new mail clients at the same time, and WLMD is a superset of Windows Mail. Why do both? Cain, I actually have resolved it... but I shot this video quite awhile ago... sorry about that. Is it only me or does the new thing seem like a monster messenger? And why is the search combobox taking so much space in the top? This seems to me as if they ported the web client to a windows form application. It makes perhaps sense to have the combo having so much space in the top in a web app, but does not make any sense in a windows app. I hope this gets fixed. This whole every application has a skin is a mess. Hey, will somebody down there on the ms campus bring their laptop with them when recording these videos? It would be really nice if we could get CLEAR screenshots of sites instead of grainy, out of focus, camera footage of someones monitor. I mean, still images would even be better--then just lay the audio track behind it and pan back and forth between the speaker and the "screen." Duncan your audio is fine, don't worry about it. Yes it does. When you launch WLMD it asks you for your Windows Live login. Granted you can just set one up real quick and use that login but then never really use the Live services (for windows xp). However in Vistas case why would you install WLMD over WM then never use the Live services? So, unless it's changed in the new build when you use WLMD you are forced to have a WL account. It can get a little overwhelming. Personally, if they added an option to simply use the underlying Windows color scheme, that'd be just fine for me. 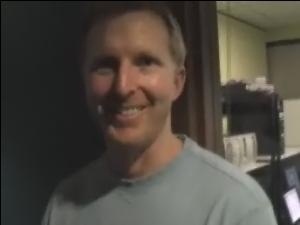 "﻿Hey, will somebody down there on the ms campus bring their laptop with them when recording these videos? It would be really nice if we could get CLEAR screenshots of sites instead of grainy, out of focus, camera footage of someones monitor. I mean, still images would even be better--then just lay the audio track behind it and pan back and forth between the speaker and the "screen." 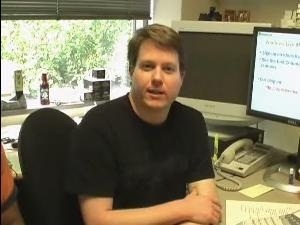 "
I agree completely, I've been trying to figure out how we could capture real screen output in a fairly simple fashion... we do it for on10.net when we are in studio (using some expensive piece of equipment), but doing it in any random office is something we haven't figured out. I've been thinking that maybe if I setup Camtasia or something similar on my machine and had folks run their demoes on there I could get a full screen capture video that I could then edit into the main video. Expensive equipement? They make a dongle that you put inline with the video out on your compy that gives you analog out ($150). All you need to do is capture that analog out. Granted the user can't run a super high resolution while doing this but it'll work. We do it all the time with presentation videos. I just wanted to point out how ridiculous this cutting off the file menus is. The guy says it's not necessary anymore but whenever he wants to use a feature he has to go to the file menu. IT is STUPID and very unuser friendly. If you really want to get rid of the menus please put in a Office style ribbon. That is still usable even tho a little new. "All you need to do is capture that analog out." ... I'll certainly try that, I'm not sure a 1024x768 or 800x600 screen captured full size and then compressed to wmv at 320x240 will look all that great (though it quite possibly would be better than recording a screen with a camera). The equipment I was referring to allows us to capture specific areas of the screen (just a 320x240 area, for example) so that we get as much resolution as we can recorded to the tape. I like that they are getting rid of File menus, but they need to make sure the items in the menus are put in the interface like I see in IE7 and WMP 11. I like the idea of toolbars becoming menus because it makes more sense, just make sure its complete. As for the many different email clients, it seems like they started working on WLMD too late to even be considered to replace Windows Mail. I imagine that they would have to delay Vista further to add it. The file menu is still accesible from a single drop down. Unless they removed it completly? This is not going to replace Windows Mail. This is an app in which you can choose to install or not. Does anyone know if you can download your E-mail thru a Pop Account and automatically have the E-mails downloaded deleted? This would be for Users who don't like copies floating around in Hyperspace. Also, I like to keep E-mails received in say 2005 seperate from 2006, but be able to go back and review the E-mails later. Can the Windows Live Mail Desktop, be able to be set up for this action? It is in the order for Identities like in Outlook Express? I have seperate Identities for each year in Outlook Express. Will Windows Live Mail Desktop be able to import these E-mails? And be able to keep the years seperated? I had access to WLMD Beta through a subscription i was goven to my hotmail account, in may. Cleverly, I used it to back up my emails into WLMD format, to my hard disk. Suddenly, today when i tried to sign in through WLMD, i got a message i need to sign up for the service. I needed to go to my previous emails, but cannot anymore and that back up cannot be opened in outlook express!!!! How do i retiereve the email messege from a backup folder of my meail account, backed up in a formate of WLMD???? Please help!!! I dont want to loose access to my emails! When ever i run WLM desktop beta it tells me that "Starting Windows Live Mail Desktop for the first time requires an online connection. Please connect to the internet and try again. (0x80048883)." after clicking ok another window pops up saying that " Windows Live Mail Desktop Beta could not be started because msmail.dll could not be initialized. Windows Live mail desktop beta may not be installed correctly." Please help me in this issue, i have been trying to install WLM desktop from so many days. I have an always on intenet connection.